Browse our range of high-quality brick saws for your next job. We stock brick saws from trusted brands to ensure you get the most efficient, high precision cutting of bricks, blocks, pavers and limestone. Great ergonomics and convenience are essential to a good brick saw. That’s why we stock brick saws that are designed with the user front of mind. 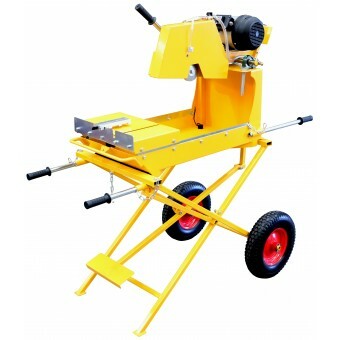 Our brick saws come equipped with stable, detachable stands and handles for easy transportation. That’s one less thing you need to worry about! Are you working with demanding environments and materials? The professional range of Crommelins brick saws are designed for intensive use on the jobsite. Whether you’re working with blocks, pavers or bricks, you will find a brick saw to satisfy your needs and budget. If electricity isn’t available on the jobsite, you can choose a petrol brick saw run by a powerful and reliable engine.